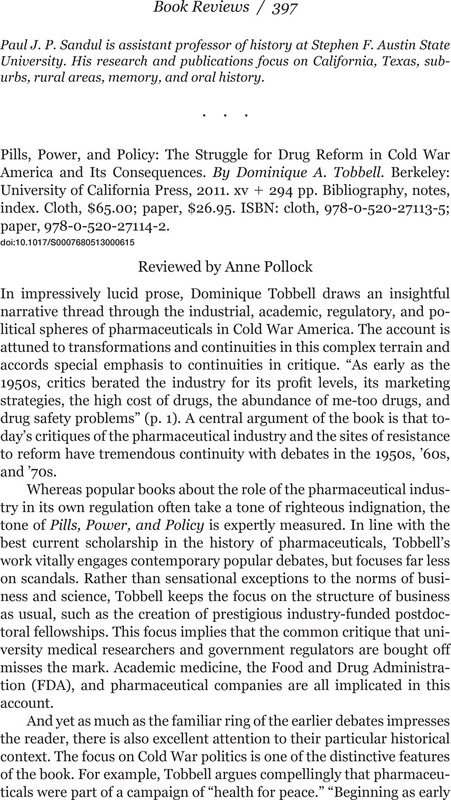 Pills, Power, and Policy: The Struggle for Drug Reform in Cold War America and Its Consequences. By Dominique A. Tobbell. Berkeley: University of California Press, 2011. xv + 294 pp. Bibliography, notes, index. Cloth, $65.00; paper, $26.95. ISBN: cloth, 978-0-520-27113-5; paper, 978-0-520-27114-2.